According to the National Alliance on Mental Health, one in five Americans will experience a mental health issue in 2015. This amounts to nearly 44 million of our family, friends, and neighbors. While the symptoms may range from feelings of mild depression to suicide, most mental health problems are treatable. 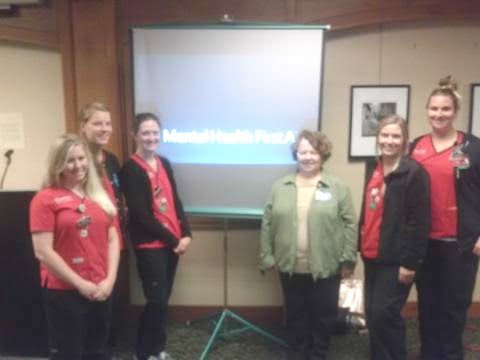 Recently, five University of Louisville nursing students, Claire, Sara, Rachel, Kayla, and Jackie, led a mental health workshop for the women and men in our recovery program. Their presentation, given under the supervision of nursing instructor Karen Singleton, was thorough, informative, and well delivered. Our clients were not shy about asking questions and everyone’s interest was held captive by these bright and engaging nursing students. We are grateful for the valuable health and wellness training offered by these talented nursing students.